Bristling with an array of cutting-edge technological solutions, the improved version of Russia’s Mi-28NM attack helicopter is nothing short of the ultimate combat aircraft, Russian Helicopters Holding’s general director Alexander Mikheyev wrote. "The outgoing year has been significant for a large number of our helicopter programs. The upgraded Mi-28N has made its first flight. 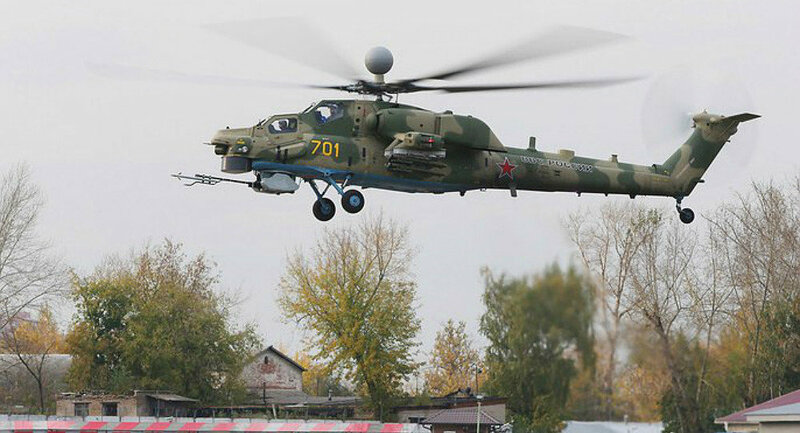 Innovative technologies and solutions implemented in the design of that helicopter, not only just improved its characteristics, but also made Mi-28NM an almost perfect combat vehicle," Mikheyev wrote in his New Year message in the holding's journal Russian Helicopters. Touching upon the helicopter's modernization, Mikheyev specifically mentioned the Mi-28NM's cockpit. It was upgraded "so that the commander and the operating pilot can receive more information about the environment and all helicopter systems in a more accessible format, which will increase the crew's situational awareness, facilitate interaction and increase the speed of decision-making in complex combat situations." The Mi-28NM also boasts onboard gear that controls its speed, as well as the drift and altitude angles. This means that the rotorcraft cannot be thrown off course even if is its navigation system fails. The Mi-28NM also carries a brand-new 360-degree radar and advanced fire control system that ensures faster target acquisition and enables the use of precision–guided weapons. The rotor blades are made from composite materials that guarantee a safe landing even if hit by a 30 mm shell. The cockpit is fully armored and protects the crew against armor-piercing bullets and projectiles with a caliber up to 20 mm. The Mi-28NM made its maiden flight in October 2016.